Last week, I talked about how essential it is to have an emergency savings account, as well as a retirement savings account. Why have so many accounts? 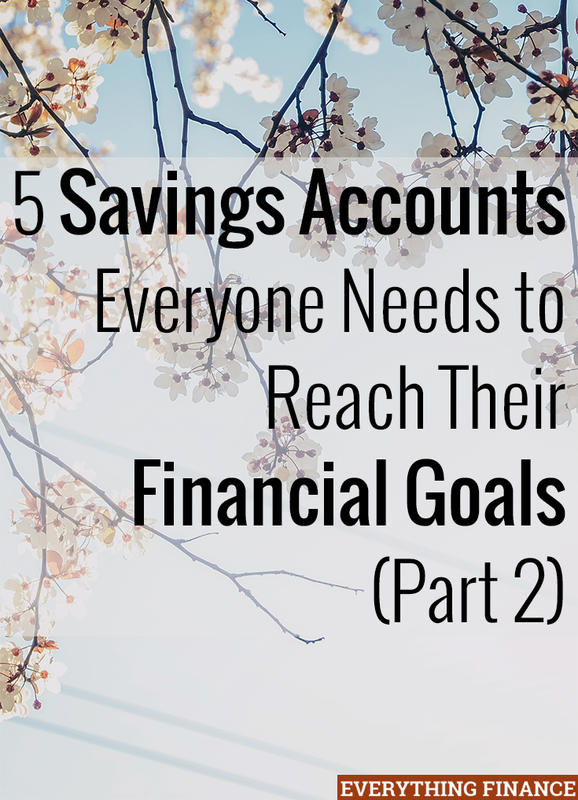 It’s easier to set goals for each category and see your progress when your savings are in different accounts. For example, if you have a personal savings account that’s dedicated to your emergency savings, your kids’ college fund, and your vacation fund, you might be less willing to take your vacation because you’d feel guilty for dipping into your children’s college savings. With that in mind, here are three more accounts you should have. Vacations are considered a luxury, but I think they’re essential for everyone. I’m not saying that everyone needs to spend a week in Paris to enjoy life to its fullest, but I do think everyone should aim to take a vacation at least once a year. For busy families, vacations are where memories are created. Having a vacation savings account allows you to keep this portion of savings sacred. If you can put in $100 per month, you’ll have plenty to take your family on a modest vacation each year. Trust me, I think your kids would rather have that yearly vacation with you than the ultimate cable package. Some people get a little touchy when it comes to saving for your kids and their future. I don’t think it’s any parent’s responsibility to save for their children, but I do think every parent has a special opportunity to help their children. As parents, we have time on our side. You might not be able to provide them a full tuition to their dream college, but you can bless them with a portion of it. Think about it, even just $50 a month from the time they’re born to the time they turn 18 is $10,800. This doesn’t include the interest that will compound, any extra money you can save, and how much your teen can save when they’re able to earn money. This account can give your children a head start and also be used as a tool to teach them how to save. The holidays puts many people in debt. People will spend freely during the Christmas season because it’s easy to be in a giving mood, and it’s easy to just keep swiping a credit card without taking notice of the damage. Having a savings account devoted solely to gifts will help you stay on budget and will help you see the New Year without a big credit card bill. This account can be used for gifts year-round, too. Just be sure to budget how much you’ll need during the Christmas holiday and divide that by 12. That should be the minimum amount you place in the account each month. Putting your hard-earned savings into one savings account can make your finances a bit disorganized and ruin your progress on financial goals. Try separating your savings into these five accounts to stay on track. Do you keep your savings accounts separate, or do you have one big pool of savings you pull from? How do you keep your money organized? This is good advice. I’m curious how much you would suggest to allocate to each? I have savings accounts for emergency and retirement funds. I am planning to have a separate one for vacation. I think it’s really advantageous to open multiple accounts to be used for various savings targets.